The Central Bank of Iraq (CBE) said in a press release that the foreign reserves annual report showed a positive performance in 2018 compared with 2017. 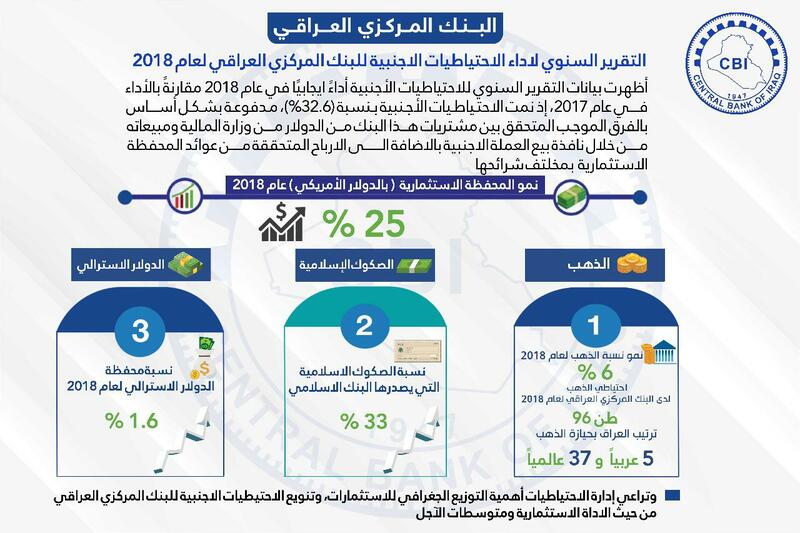 Foreign reserves grew by 32.6 percent, driven mainly by the positive difference between the bank's purchases of the dollar from The Ministry of Finance and sales through the window selling foreign currency in addition to the profits realized from the proceeds of the investment portfolio in various segments. "Investment in Islamic bonds issued by the Islamic Development Bank in 2018 increased by more than 33% in 2017," he said.